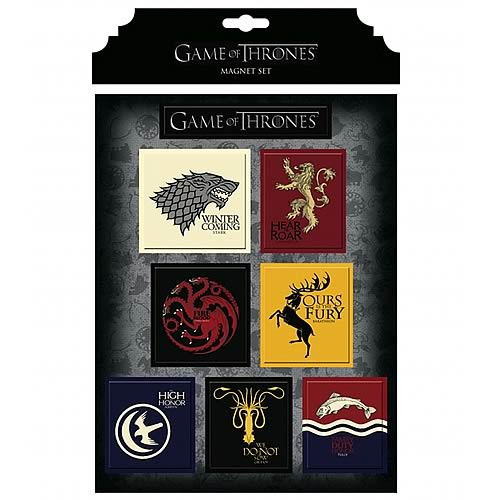 The Game of Thrones House Magnet Set features popular House Crests, based on the hit HBO television show, Game of Thrones. Each magnet is die-cut and magnet set comes in a polybag. The magnet set features the Stark, Targaryen, Baratheon, Lannister, Arryn, Greyoy, and Tully house crests. Ages 13 and up.